It was surely what Twitter was made for – a national day of Twitter action that had discussions about Aboriginal and Torres Strait Islander health issues trending nationally – scoring nearly 26 million impressions (see The Influencers pic below) and more than once rating as the number one Australian Twitter topic (below). Indigenous and non-Indigenous tweeps from across the country joined in the #IHMayDay discussions on a range of topics – from the impact of racism on health to negative portrayals of Indigenous men – from dawn till way past dusk. 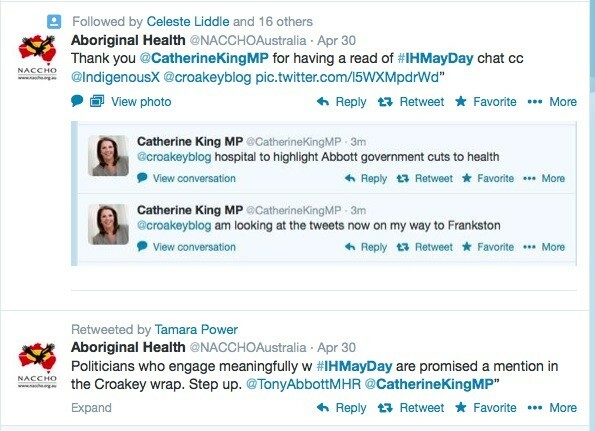 #IHMayDay didn’t get as big a response as could/should have been expected from politicians across the country, despite an offer to include them in this wrap if they meaningfully engaged, but thanks to those who did (Retweeting counts, right?). 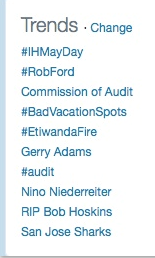 And it only served to underscore many of the issues raised (and to generate new concerns) that #IHMayDay was knocked out of top place on Twitter trends during the afternoon by the release of the Federal Government’s disturbing Commission of Audit report. If you want to catch up on #IHMayDay at length, you can read the full transcript here or see below for some of the highlights of each session (some text versions of tweets have been slightly edited to aid understanding) and some of the responses. Do we reproduce statistical portraits of despair? is identity just an epidemiological variable that denotes risk? Chelsea gave a very personal example of how the deficit-based approach works. In his workshop session, Luke Pearson, founder of the popular and influential @IndigenousX account, urged non-Indigenous people and organisations to ‘have the backs’ of Indigenous tweeters like him who cop much abuse from so-called Twitter trolls. Luke also had some advice for Indigenous organisations, that Twitter and social media campaigning should be authentic and learnt: not hired out. He was asked how non-Indigenous orgs can best support Indigenous people online. Luke’s nominations for great Twitter initiatives that helped break through on understanding or action? 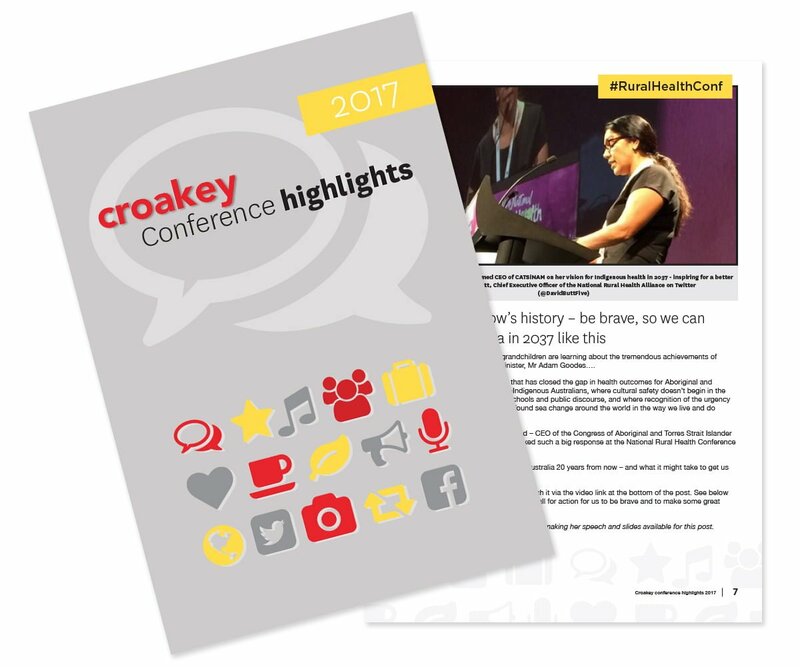 Here too is a recent Croakey report on some of the work been done by Kat and Peter. 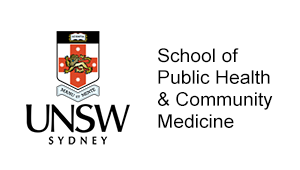 A big event on their horizon is the first international indigenous peoples conference on HIV to be held in Sydney on July 17-19 in the leadup to the 20th International AIDS Conference in Melbourne. Jody talked about the IUIH’s Deadly Choices campaign that encourages Aboriginal and Torres Strait Islander peoples to stop smoking, eat good food, exercise daily, and access their health service not just when they’re sick but to prevent or better manage chronic disease. 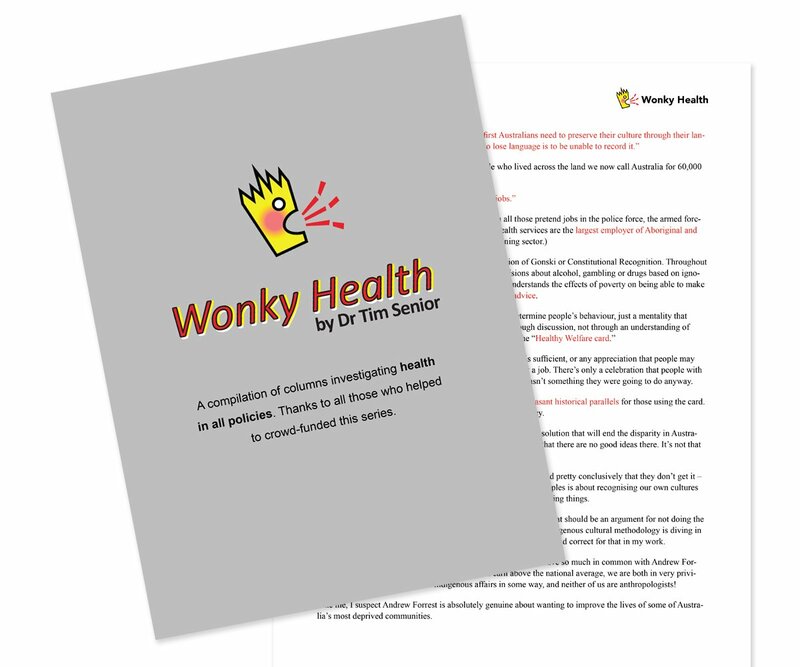 It’s delivering a Health Promotion program in 30 schools this term. Role modelling is an important part of the campaign, which partners with NRL’s Brisbane Broncos and the AFL’s Geelong Cats to use football to engage a broader community. Blake also opened with a personal story about how, at 16, he had faced mental health issues that required him to seek clinical assistance, describing how he was pulled out of school and placed into an adult institution because the youth facility was full. He said the Young Healers program helps young people address trauma from a place of strength and resilience. It ran a survey to guide priorities – see a snapshot – that showed 60 per cent had family members who were part of the Stolen Generations. 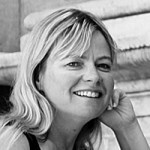 Talking about the impact of alcohol on nutrition, school attendance, vehicle accidents, assault rates and hospital admissions, Professor Langton made the case for Alcohol Management Plans – so-called “grog bans” – in Aboriginal communities to “start the process of healing from the grog epidemic”. By contrast, she said, hospital admissions for alcohol related violence soared in the NT after the Banned Drinkers Register was abolished. 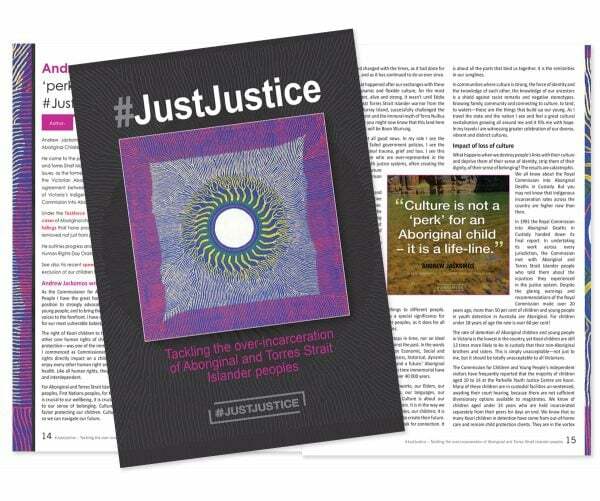 With the narrowing gaze of the Abbott Government on justice issues, she gave a timely reminder of the recommendation of the 2009 Social Justice Report that criminal justice targets should be integrated into the Closing the Gap agenda. 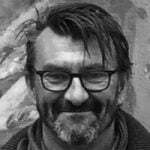 @mattinthespring: @marcialangton At Tangentyere Research we are in discussions with NTG DoB to work in Town Camps to build AMPs from the ground up. 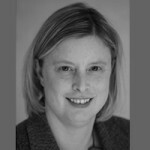 Kirstie is co-chair of the Close the Gap Campaign Steering Committee and of the National Congress of Australia’s First Peoples (which expects to lose its funding in the May 13 Federal Budget – a likelihood reinforced in the Commission of Audit report released also on #IHMayDay). Kirstie shared resources on why racism must be addressed if we are to close the health gap. 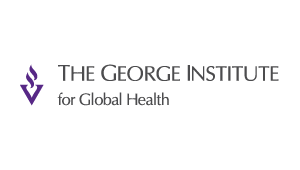 This session followed the release of the CTG Campaign’s submission to the Federal Government calling for the proposed changes to the Racial Discrimination Act to be dropped on health grounds. 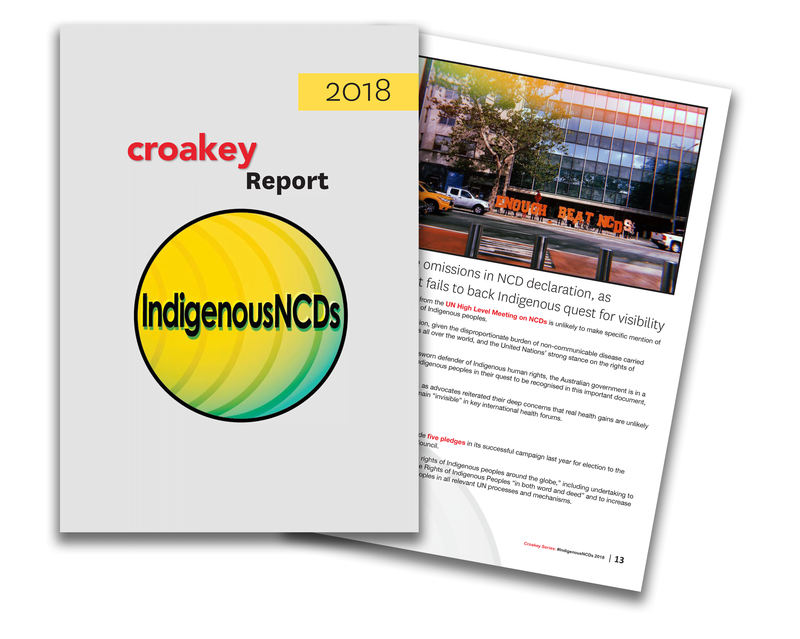 The CRG Campaign says that if the government elects to go ahead with the changes, it must first assess the potential impact on the mental health and wellbeing of Aboriginal and Torres Strait Islanders. 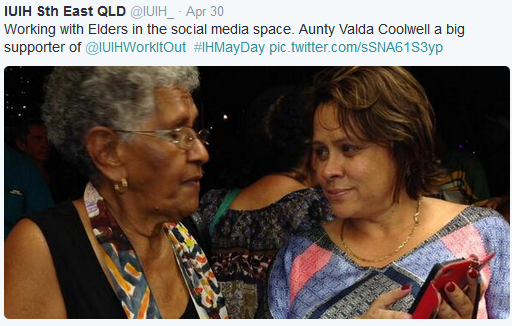 For #IHMayDay instigator Lynore Geia, the impact has already begun. Dameyon’s session aimed to challenge a “constant barrage of negative images contributing to assumptions and stereotypes” that Indigenous men face, with most programs for them focused on changing their “negative” behaviours. When was the last time you sat in a waiting room and saw positive images of Indigenous males? How many programs tell Indigenous males they are good at what they do or focus on enhancing their parenting skills? How many programs enhance the inherent strengths of Indigenous males? How many programs support new Indigenous Dads when the mother of their children is depressed? How many perinatal programs are targeted to new Indigenous Dads? The Strong Fathers, Strong Families Program, attracts only $1.36 million a year. It funds 3 states and 1 territory…. …. 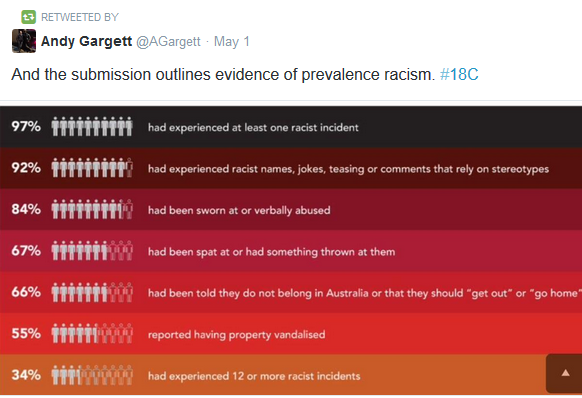 for example with 85,081Indigenous males in New South Wales that equates to $3.99 per fella. Thats the investment. Dameyon also opened up discussion on the falling number of Indigenous academics employed in university, with a particular lack in social work. 1: Present funding policy results major inequities & service gaps within & between jurisdictions & lacks a rational basis. It will be hard to Close the Gap until these anomalies are corrected. 2: Ending the welfare trap and advancing economic independence. 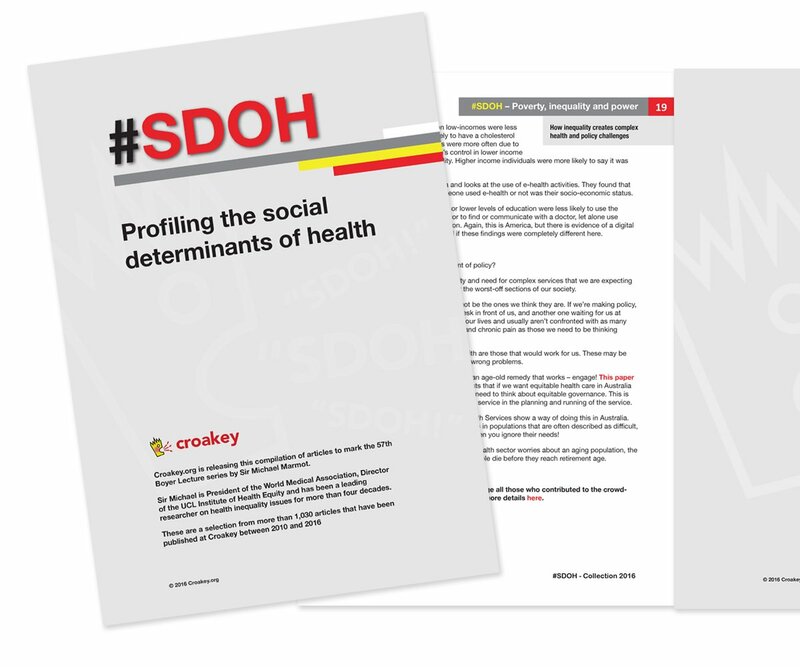 Low levels of education, training and skills contribute to economic deprivation & a range of social/health problems. 6: High value-added impact from education/training spending is the key to healthy futures. Increasing Aboriginal education/training qualifications in health is fundamental to achieving better health outcomes. 7: Incomes for better health: ACCHS wages are higher than average for Aboriginal Australians. 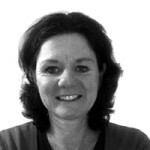 8: Supply/demand disequilibrium: there is a big shortage of ACCHS fully equipped to cater for our complex health needs. 9. 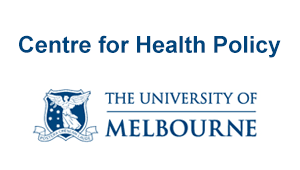 Cost effective health economic policy: research shows substantial health gains ACCHS delivery. 10: Benefits beyond economic are a win-win for meeting national policy objectives Health, social, community, cultural. 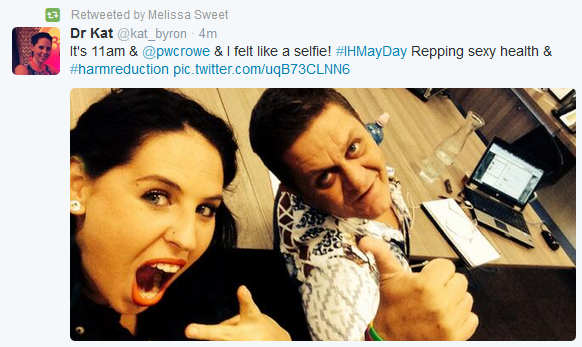 And the verdict on #IHMayDay – by Twitter of course (or at least a few of the very many). 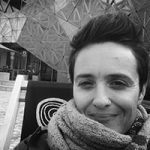 “What I got out of the day was a deep sense of personal pleasure that the idea came to pass, and that so many Indigenous and non-Indigenous people in Australia pushed out their own personal and professional boundaries and engaged in #IHMayDay. It seemed to me that the collective passion on #IHMayDay was reminiscent of the Aboriginal activism years of the 70s; but in this case it was over the internet and getting into places and to people that would not normally be accessible in everyday face to face life. I also feel strongly that the collaboration and partnerships leading up to, and on, the day of tweeting brought ‘a change’. A sense of hope was tangible over the 15 hours as the Indigenous Tweeps were spring-boarding off professional and personal strength based evidence and experiences. In addition to this was the support of the listening ears and the re-tweeting that was going on, just as fervent and quick paced by our non-Indigenous Australian colleagues, friends and allies; who were brilliant. The day would not have been a success without both groups of people smashing the Twittersphere with their passionate dialogue about Indigenous health. At this point I want to thank Marc Tennant @MarcTennant for his inspired idea to make a call out to the non-Indigenous community to listen as well as re-tweeting. The above points are my personal reflections of the day #IHMayDay; some people will no doubt have different reflections of the day. However, I feel that I can safely declare the #IHMayDay was a resounding success for all involved in getting the Indigenous health message out to wider Australia. This is not the end of the story for me. I would like to continue to build on this initiative, as I know many others would like to. I don’t believe that this was a mere case of “clicktivism” – about making people feel good but not having any impact. 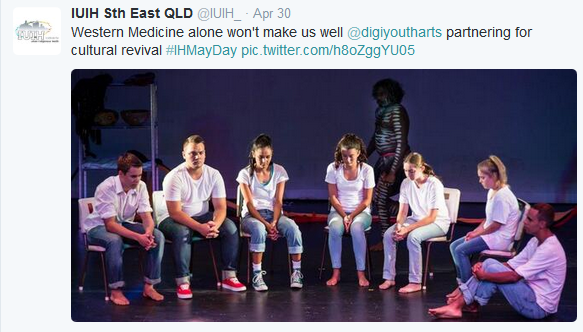 Clearly the 25.6 million impressions of #IHMayDay demonstrated the wide interest and engagement with Indigenous health. So too the involvement of people from a personal and professional level dispels the criticism that this was a discrete academic exercise for the ‘glorification of the personal in academia’. What I would say to the sceptics and the critics is to broaden your mind, view the conversations, examine the statistics and make time to ‘listen’ with an intent to learn and let it start a process of personal transformation in you to challenge your established perceptions and belief about Indigenous people and Indigenous health. 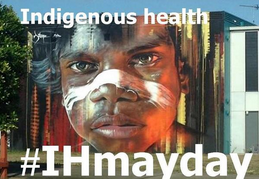 I have a strong conviction that #IHMayDay was the beginning of a new paradigm in Indigenous health praxis, one that has already attracted the attention of many practitioners. What difference did #IHMayDay make, or what impact did it have on you at a personal or professional level? 26 million impressions (where 60% of them were provided by two tweeters). You could have had the two participants (crockyblog and IndigenousX) talking to each other and still get 15 million! Of the 7300 odd tweets, only 1716 were actual content tweets, the rest were Retweets. Of the 1000 odd participants, only 244 participants had something to say, the rest were retweeters only. Number of non-retweet tweets and percentage of non-retweet tweets are the other numbers.